Oxford A Level Mathematics for Edexcel takes a completely fresh look at presenting the challenges of A Level. It specifically targets average students, with tactics designed to offer real chance of success to more students, as well as providing more stretch and challenge material. 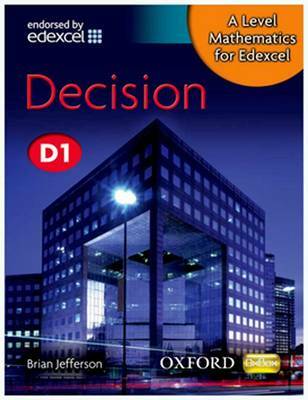 This Decision 1 book is fully updated to reflect the 2008 specification. It includes a background knowledge chapter to help bridge the gap between GCSE and A Level study.